Sheriff's Detectives Arrest Alleged Meth Dealers, ONALASKA, February 8, 2014 - On February 5, 2014 the Polk County Sheriff’s Office Narcotics Division along with the Criminal Investigations Division received information regarding a possible meth house in the subdivision of Yaupon Cove. When detectives arrived, they observed a stolen game camera that was missing from the Polk County Sheriff’s Office inventory on the exterior of the residence. Detectives contacted the residents, Bryan Cooke, 28, (aka "Wrench") and Sherry Collier, 34, both of Onalaska. They advised detectives their was going to be methamphetamine inside of the residence. A search warrant was obtained and a search of the residence and an out building was conducted. During the search a large amount of methamphetamine and evidence of the sell of methamphetamine was located. Several stolen items were recovered from the property along with a handgun. Bryan Cooke is a convicted felon and cannot legally be in possession of a firearm. Cooke was subsequently charged with Possession of a Firearm by a Felon. 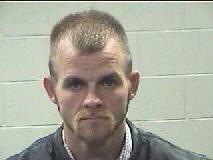 Both Cooke and Collier were transported to the Polk County Jail and booked in for manufacture/delivery of a controlled substance. 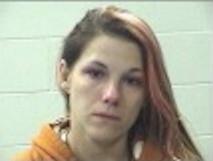 The charges are a felony (penalty group one four to two hundred grams namely methamphetamine). This has been an ongoing investigation for the Polk County Sheriff’s Office Narcotics Division that has led to four arrests in the Onalaska area and more arrests to follow.